Due to a temporary technical problem we are unable to link directly to this event. Please locate the event from the list using the link above. We apologize for any inconvenience. 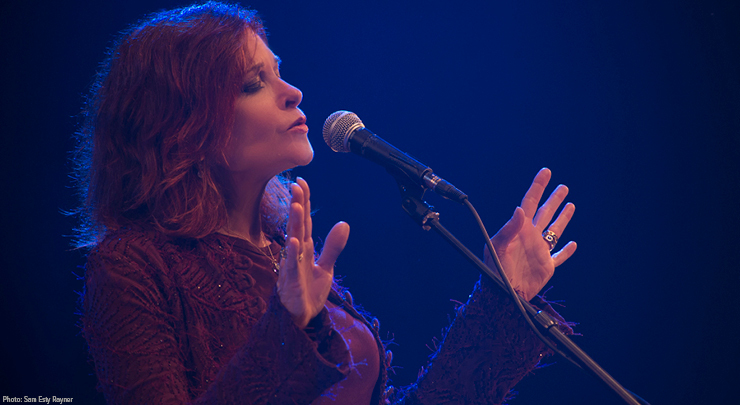 Singer-songwriter Rosanne Cash and her collaborator, musical director, guitarist, and husband John Leventhal present an acoustic evening celebrating her prolific and deeply-rooted catalog of music. Her collection of American roots songs encompasses sounds of the blues, gospel, folk, country, and rock which together take the audience on a rich journey that is both classic and completely contemporary. Rosanne Cash, a four time GRAMMY Award winner and a member the Nashville Songwriters Hall of Fame, has recorded fifteen albums, and has charted twenty-one top forty country singles, eleven of which reached number one. She is “a storyteller and singer of exceptional grace and grit” (Boston Globe).